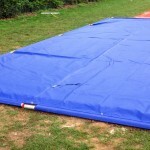 If you need a triple jump sand pit cover for your athletics facility, we can supply these in various sizes and designs. Schools and clubs use this equipment to protect the landing pit and stop dirt from getting stuck in it while it is not in use. The most common design is a vinyl sheet with metal poles at each end to secure it in place over the landing area. We would be happy to advise you on the prices for these products and give you some more information if necessary. Please complete the enquiry form on this page to speak to an expert today and ask any questions. Triple jump sand pit covers are designed with the sole purpose of keeping any contaminants out of your sand pit – this allows for the surface be a used all year round with only a minimal proactive maintenance scheme needing to be in place to remove the contaminants. 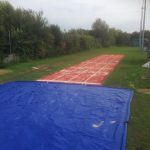 We can tailor our sand pit cover to the size and dimensions of the sand pit that is specific to your triple jump facility, allowing for you to have more control over the costs of the triple jump sand pit cover. With the contaminations kept out of the surface, this allows for the surface to be placed next to trees or wooded areas without the constant worry of serious contamination being an all year round issue. 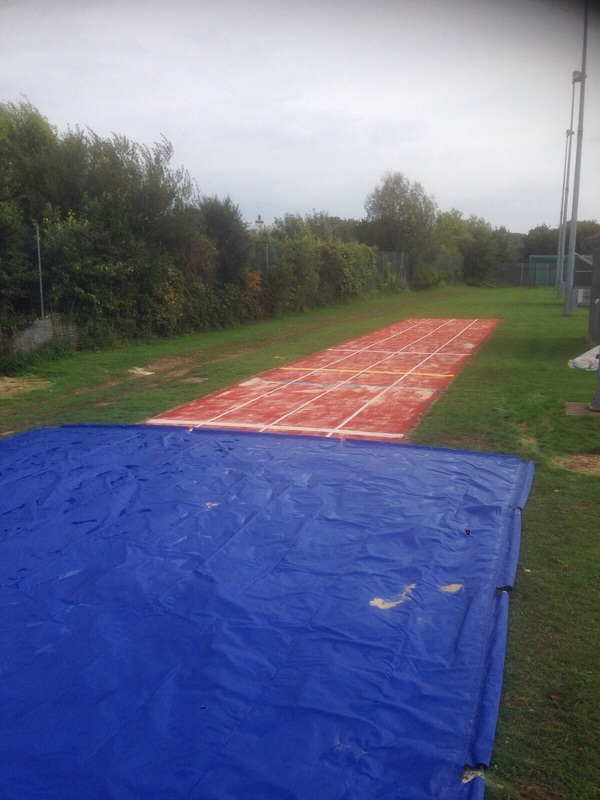 The triple jump sand pit cover also makes the facility a lot safer to use, this is vital for institutions such as schools and colleges that have the responsibility to look after their students. 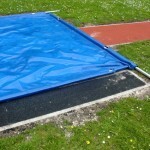 Your typical sand pit cover is made from a vinyl sheet that is held down with metal bars to ensure that it is kept in place, this typically will do all that it needs to do, however some institutions such as sports clubs or leisure centres may want to invest in a more advanced triple jump sand pit cover system such as the wheel away cover that completely ensures coverage from contaminations and dirt. 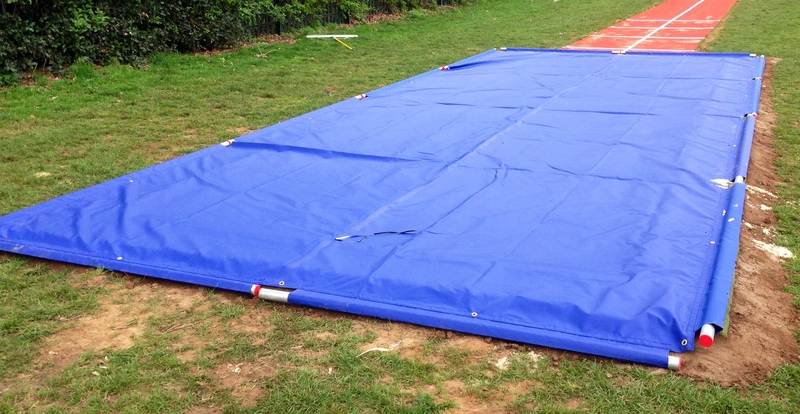 The prices for triple jump landing pit covers will vary depending on a lot of different factors, the most important one being the system that is being installed; the more advanced system such as the wheel away sand pit cover will be far more expensive than a typical vinyl sheet system. The next big factor is the size and dimensions of the sand pit cover, this correlates with the size of the sand pit, so if you need to stick within a tight budget, the size of the sand pit should be taken into account before the facility is installed. 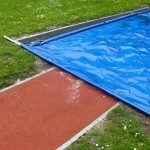 However although the sand pit cover may seem like an unnecessary expenditure, the maintenance and care that it will provide for your facility will make the entire surface a lot safer to use and it will also improve the performance characteristics – We aim to offer the best quality product and services for the best price to help keep clients happy and within their budget.